My posting on light tape last week was about a high tech way of providing “glow in the dark” tape capabilities that never required recharging of the tape. 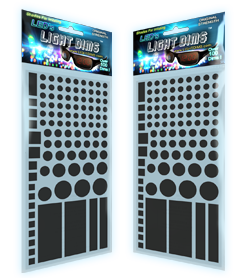 Light Dims is a product that strives to do just the opposite and in an extremly low tech way. The proliferation of LED indicator lights means that you can never get away from things glowing, blinking or generally demanding to be noticed. It’s an interesting idea if you’ve tog $6.00 to throw at the problem. You can get the same results with a $.99 roll of electrical tape. 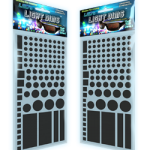 Read more about Light Dims here.